Our appliance experts provide both gas and electric home range repair in Oshawa, Ontario. Whether you have oven or stove problems with your range, we can help you effectively. 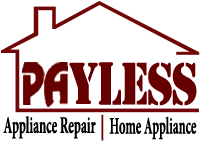 Our team is qualified to troubleshoot, install, fix, and take care of any issue related to any type of household range. We do our best to fix the appliance fast and respond quickly when there is an urgent problem with gas leaks. To avoid such serious problems, you should also leave the installation of new gas ranges to our team. Our Appliance Repair Oshawa team can handle any issue and serve any related request. Ranges are basically appliances, which integrate both stoves and ovens. So either unit can cause problems. And in either case you can count on our services. We provide stove and oven range repair. When the heating elements of these two units are burned out or somehow damaged, they won’t be able to heat food well or not at all. But problems are often also caused by other parts which might also burn, wear, or break. You can rest easy that our techs come to fix range problems with a wide array of spares with them. And so damaged parts are replaced. 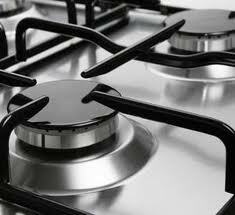 Call our team urgently for any Oshawa gas range repair need. Problems are also caused by faulty installations. In this case, you can also trust our gas and electric range repair. Even if we don’t have to replace parts, we can correct bad connections and fix the problem which blocked the appliance and kept it from working well. For the same reason, you should leave the connection of the new electric range to us and definitely call us for gas range installation. Your gas range will only work safely and properly when it is connected and serviced right. In a different case, you might experience gas leaks. Avoid any problem with either gas or electric ranges by trusting any service related to these appliances to us. Whether you want to install a new range or need oven and stove service, depend on our quality and timely range repair Oshawa work.